Based on the hugely popular TV comedy, Friends is a 5 reel, 40 payline video slot from WMS. Like many of the developer’s branded titles, it’s full of extras including 3 free spin rounds complete with 3x multipliers, sticky wilds or walking wild reels. You’ll also have a chance to land a jackpot prize. Join Monica, Ross and the rest of the gang from between 50p and £100 per spin. The skyline scene that formed part of the TV show’s opening credits is the backdrop to the action here. On the reels are coffee cups, guitars, the Central Perk logo and a selection of scenes from the show. The 6 Friends arm in arm is the game’s wild. This replaces all other symbols bar the wheel bonus and pays 0.5, 2.5 or 10 times your total bet if you land 3, 4 or 5 on a payline. Look out too for the jackpot wild that can hit on the middle 3 reels only. Fill all 3 of those central reels with the jackpot wilds and you’ll pocket a bonus prize of 2,000 times your bet. On all 5 reels you’ll see Mystery Stacks. These all transform into the same matching symbol to hopefully create a winning combination. Thanksgiving Bonus feature – land this and you’ll receive 10 free spins with all payouts trebled. Wedding Bonus feature – 10 free spins are on offer here too. The extra is that any wilds that land will remain sticky for the remainder of the feature. Party Bonus feature – 11 free spins are awarded if you land this round. Walking wilds are in play throughout. These can fill 1 or better still 2 whole reels. Bamboozled Bonus feature – this is a pick me round. Choose from the 20 cards. Pick a Gimmie Award and you’ll win a cash amount that is added to your initial prize of 10 times your stake. Finding 3 matching jackpot cards can also deliver a big jackpot prize. The visuals are decent enough here. It’s a shame that WMS wasted half the screen space with a picture of the cast above the reels. It’s not a real biggie but it makes the symbols that much harder to see clearly. If we were a little underwhelmed by the design there’s plenty to like about the gameplay, especially the bonus features with the wild extras. 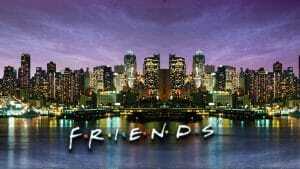 It’s unlikely that this video slot version of Friends will have the enduring popularity of the TV show. It’s a decent enough performer though. And if your Friday nights out weren’t complete without a visit to Central Perk, then this should provide plenty of nostalgic entertainment. I would much rather play NetEnt’s Vikings or even Microgaming’s Game of Thrones.